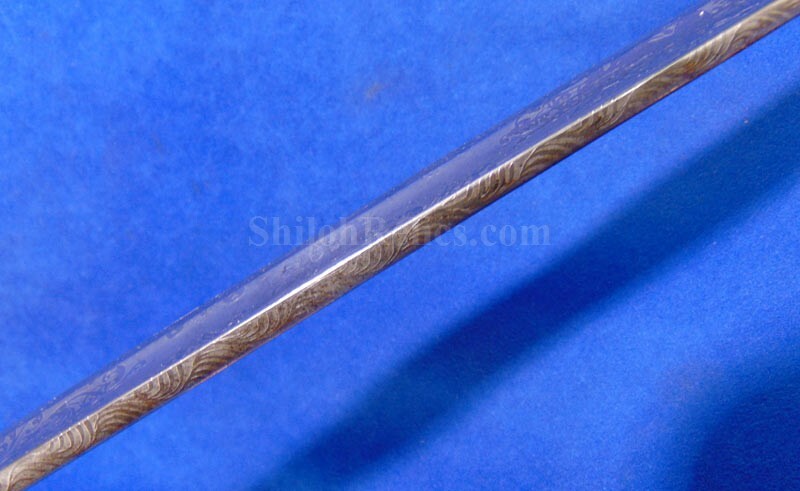 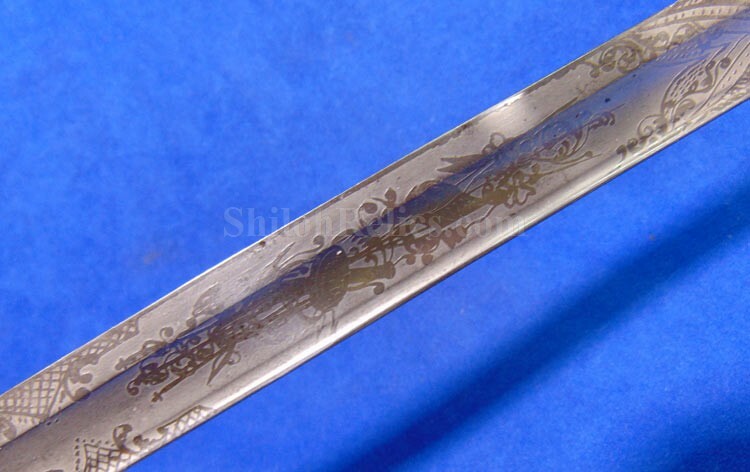 Here is a beautiful sword that is in wonderful condition. 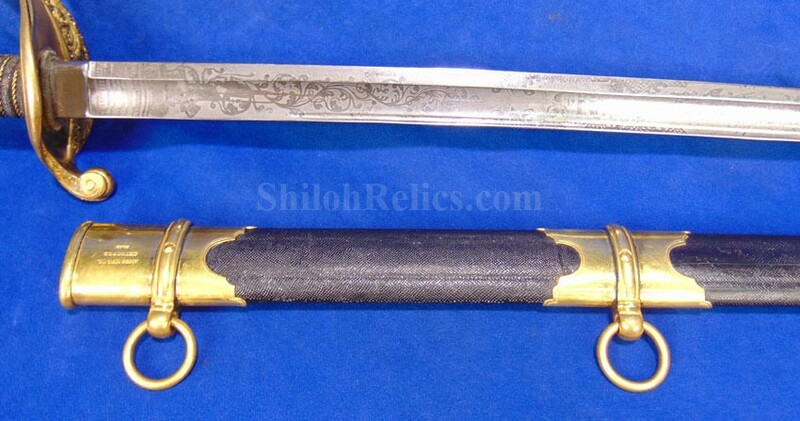 On a scale of 1 top 10 this one is at least an 8 or 9. 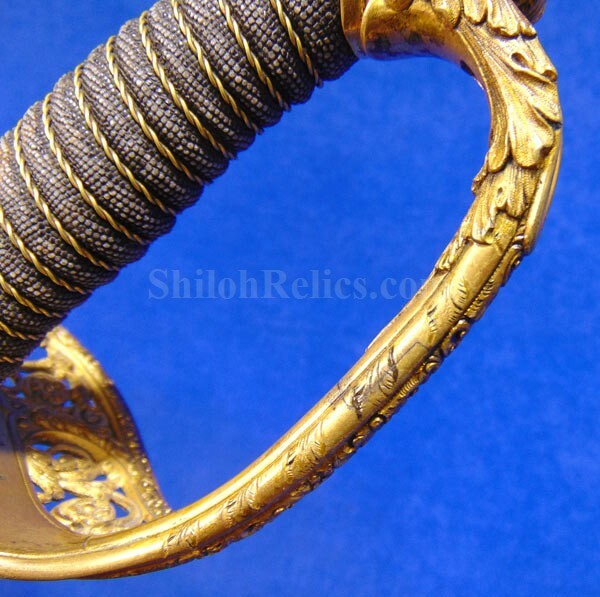 This is the classic "foot" officer's sword that was made for the line officer's during the Civil War. 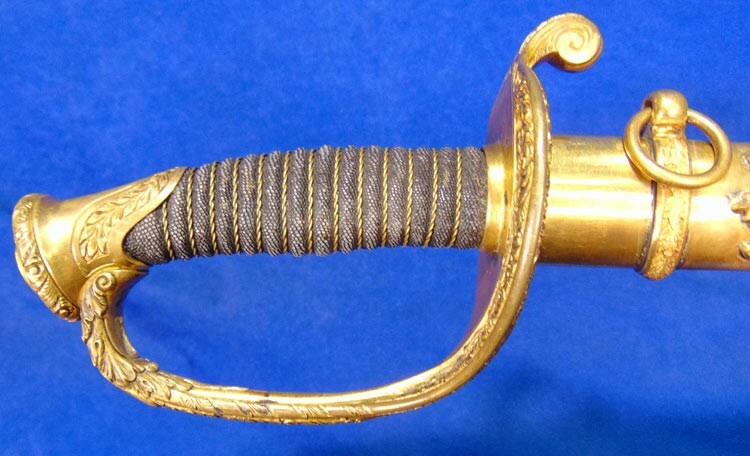 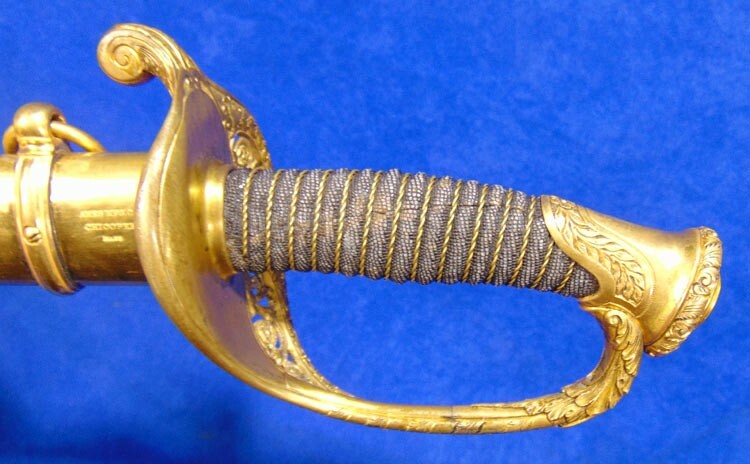 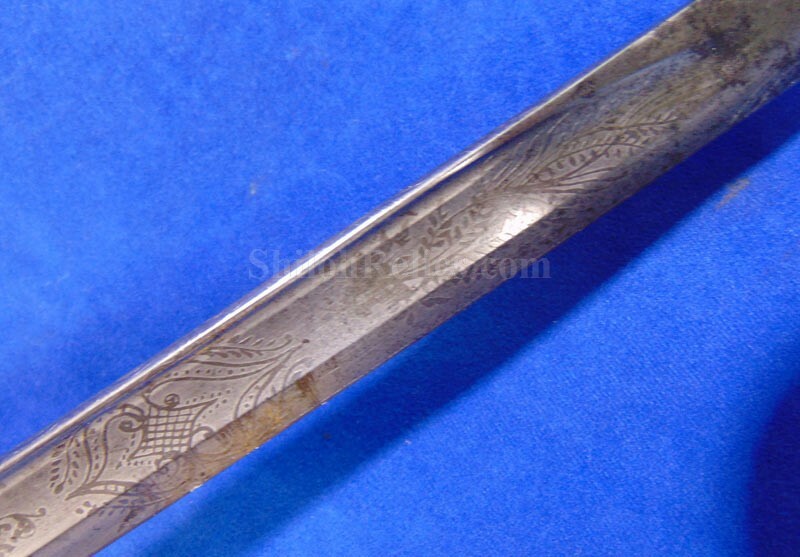 This one was made by the most famous of all Civil War manufacturers, the Ames Sword Company of Chicopee, Massachusetts. 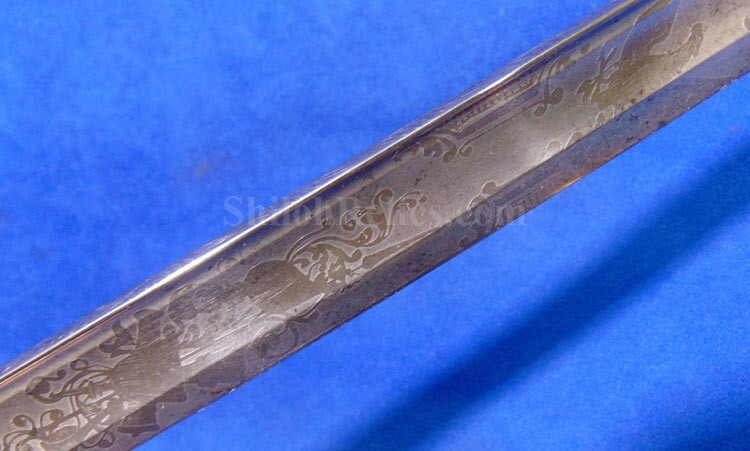 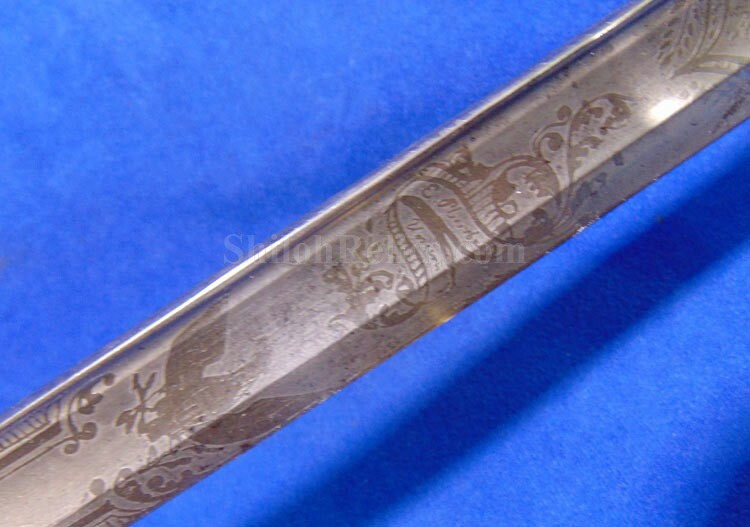 It is clearly marked by them on the scabbard as well as being etched on the blade. 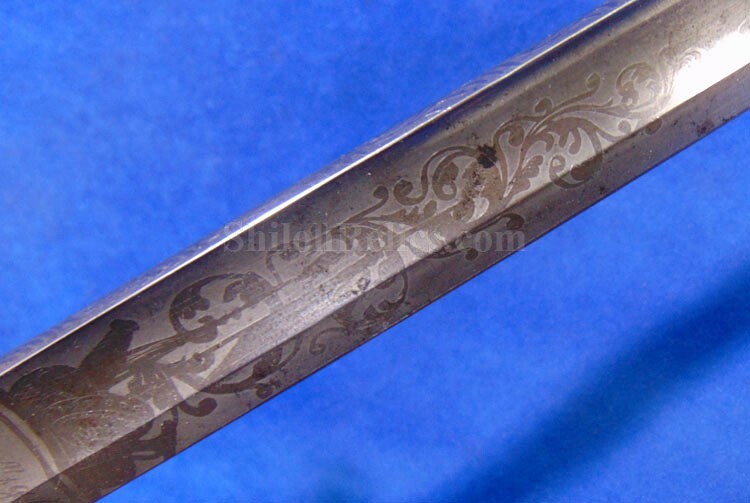 The blade is full-length with gorgeous etching from the factory with a superb amount of the original frosting still present. 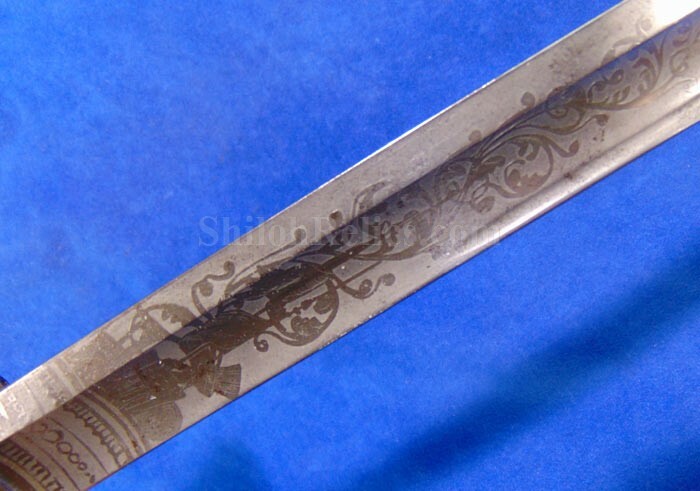 It is accentuated with floral and geometric designs. 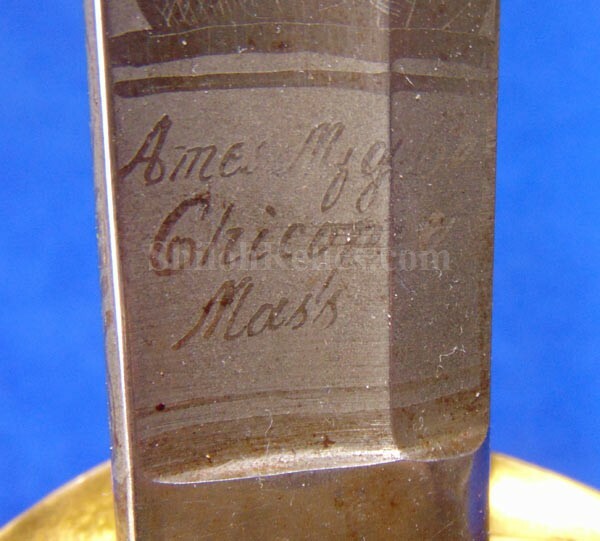 On the back side of the blade it has the bold large "US” letters. 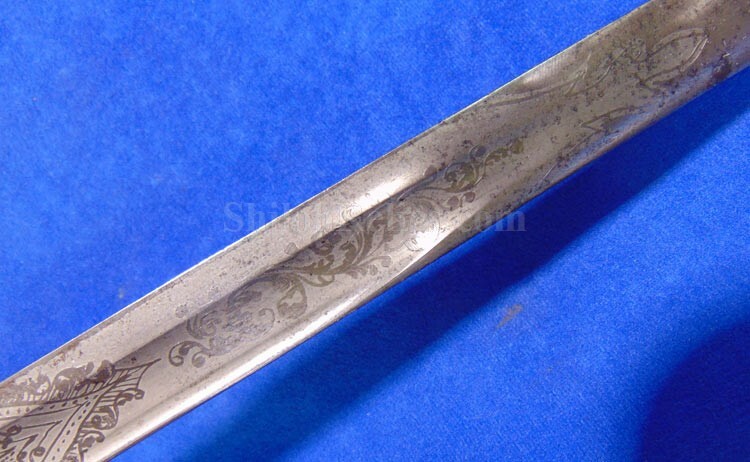 At the base of the blade it has the original white color buff leather washer to protect the handguard from the scabbard throat. 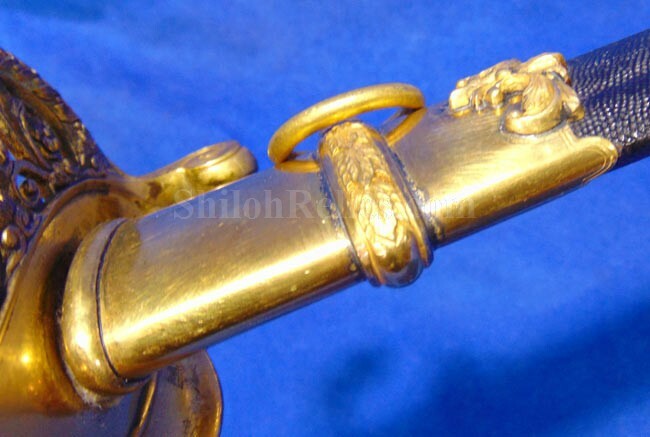 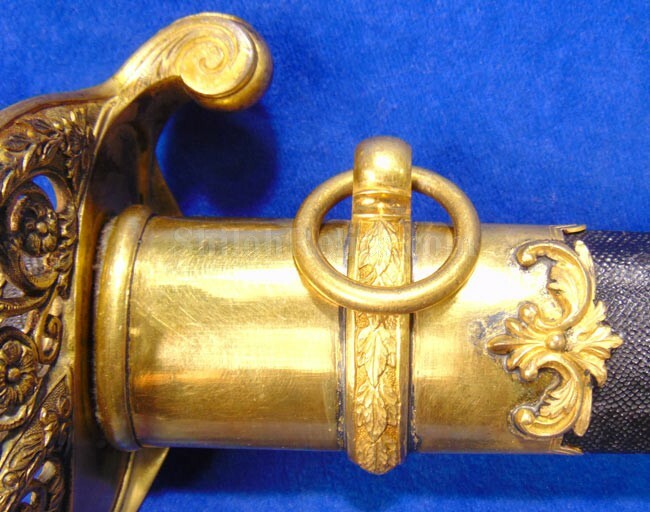 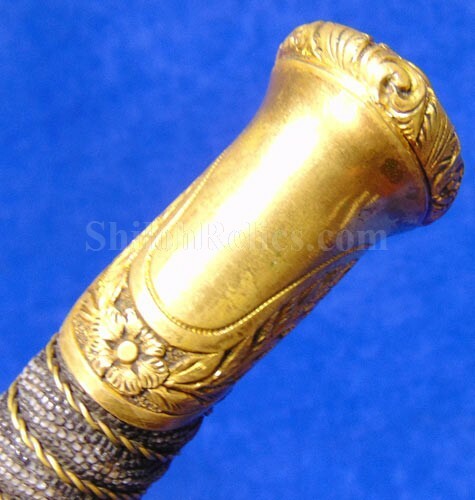 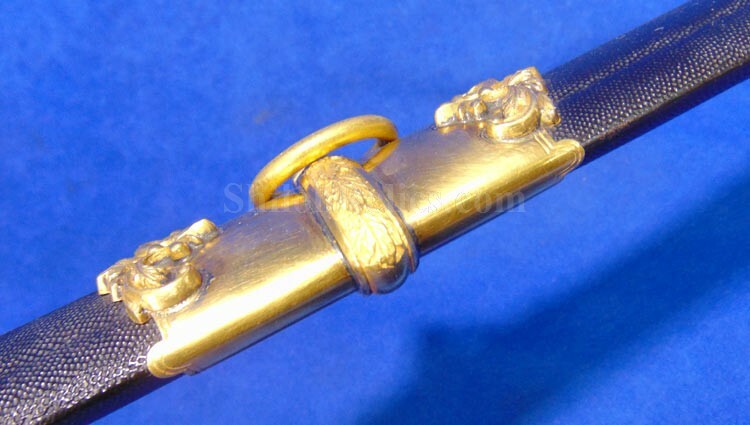 The brass of the handguard and pommel cap has lots of the original gold gilding that just beams. 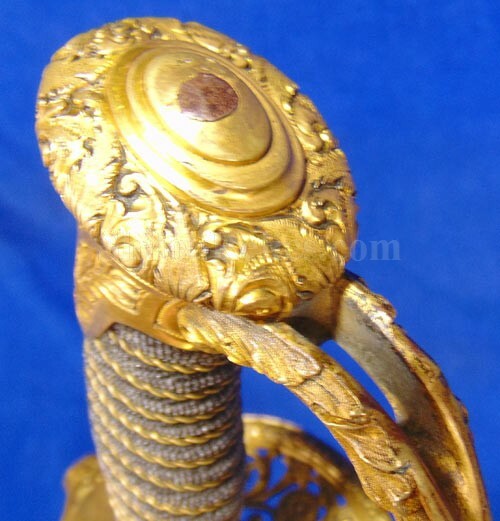 The basket of the sword hand guard has the floral pattern that lets us know that it was made for the line officers. 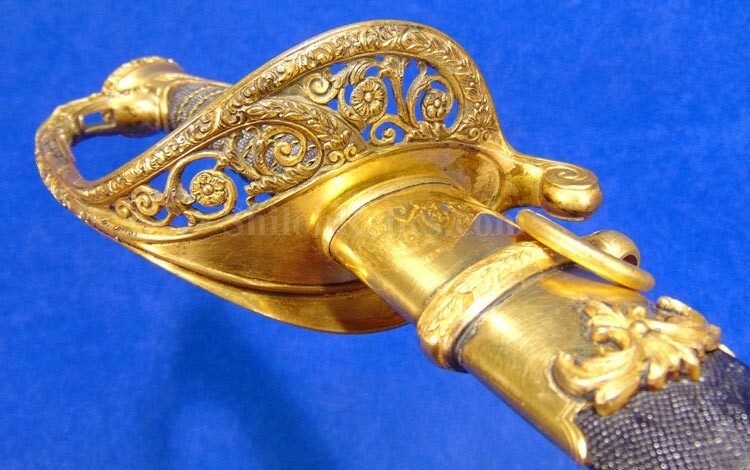 The sword grip is equally as impressive. 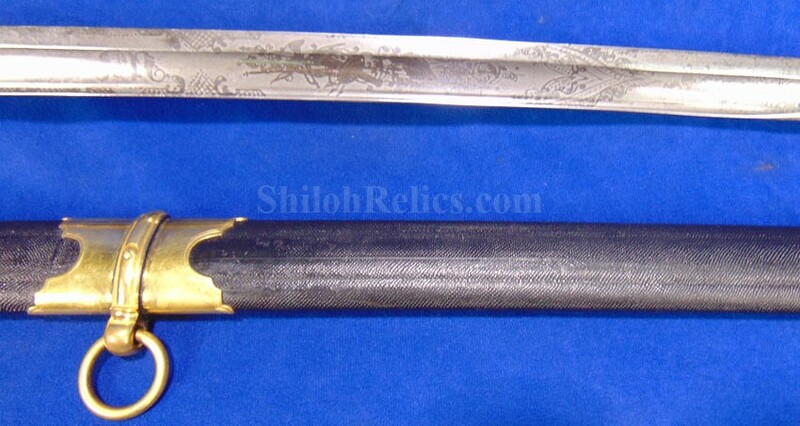 It has 100% of the original sharkskin grip intact with beautiful color. 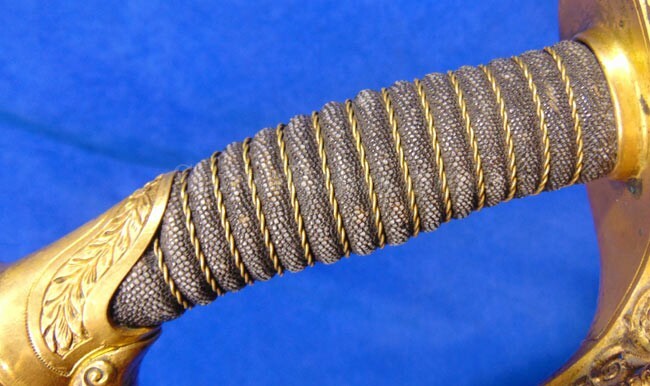 Each strand of the original double twist brass wire is present with a gorgeous look. 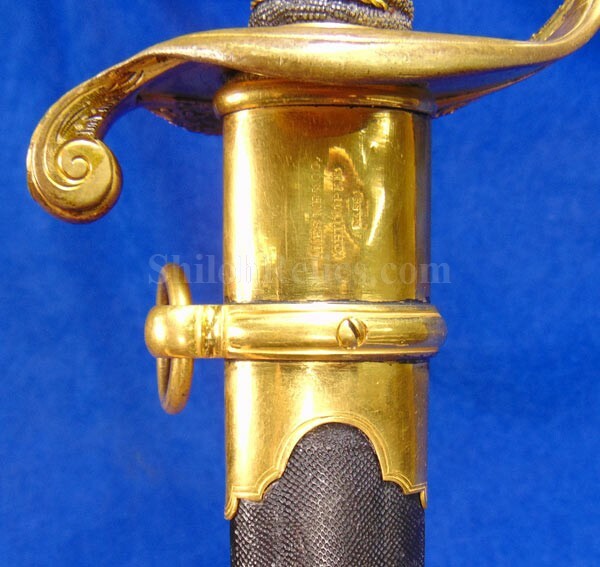 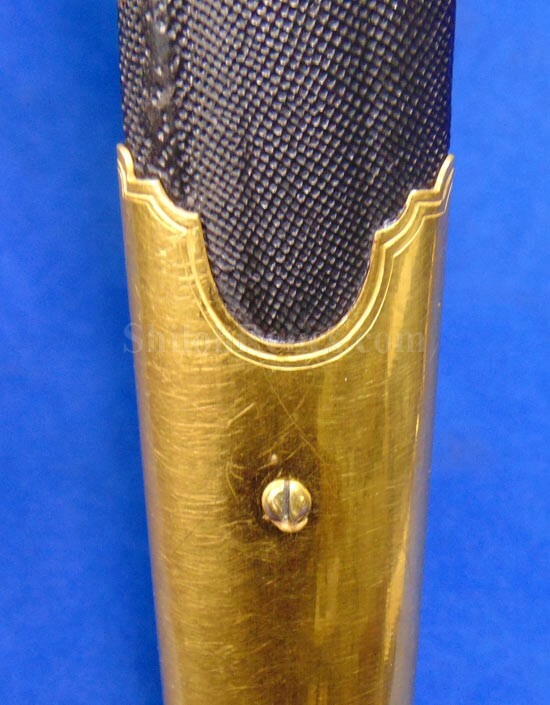 The sword is accompanied by the original black toned sharkskin and brass scabbard. 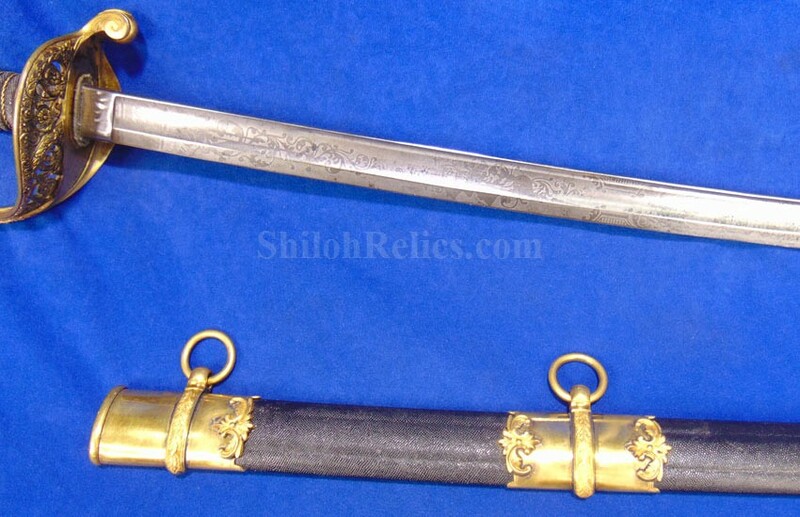 The scabbard is is excellent and is one of the highest quality scabbards that you could purchase for one of these foot officer swords. 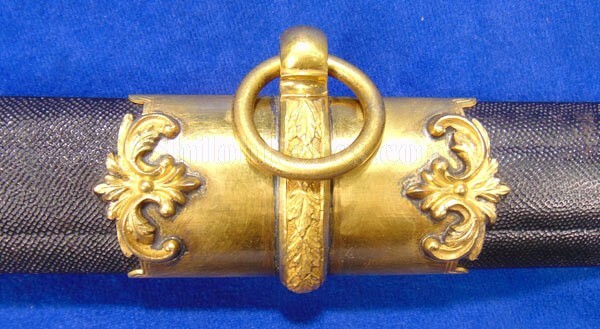 It has beautiful color all over with gorgeous gold gilding still remaining on the brass. 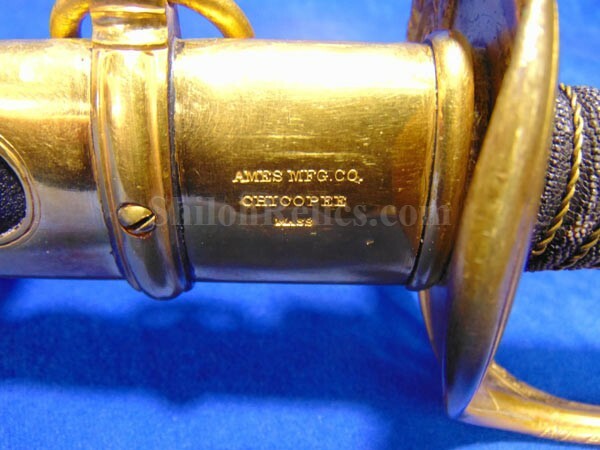 The Ames mark is clear as a bell on the top mount. 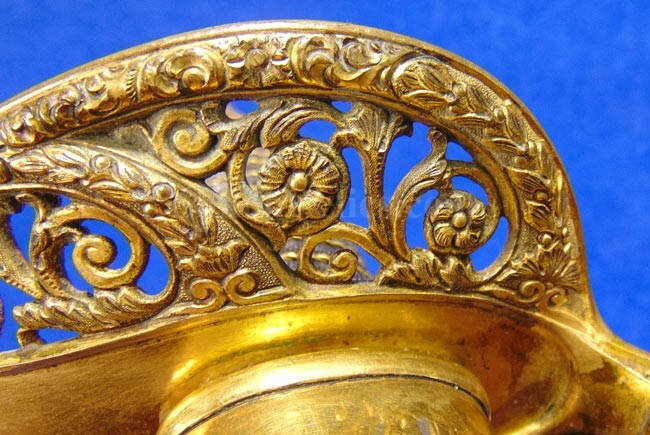 You can see that the gilt brass mounts sport the leaf design decoration with applied chased wreaths at the end of each mount. 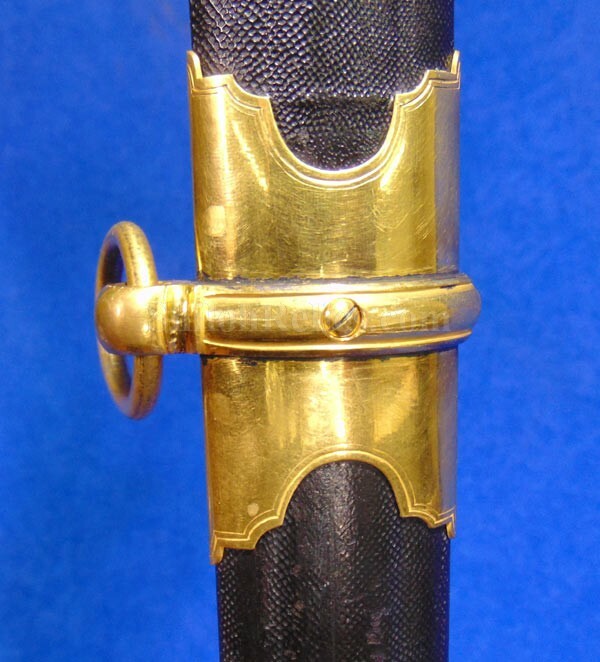 The scabbard is solid as a rock. 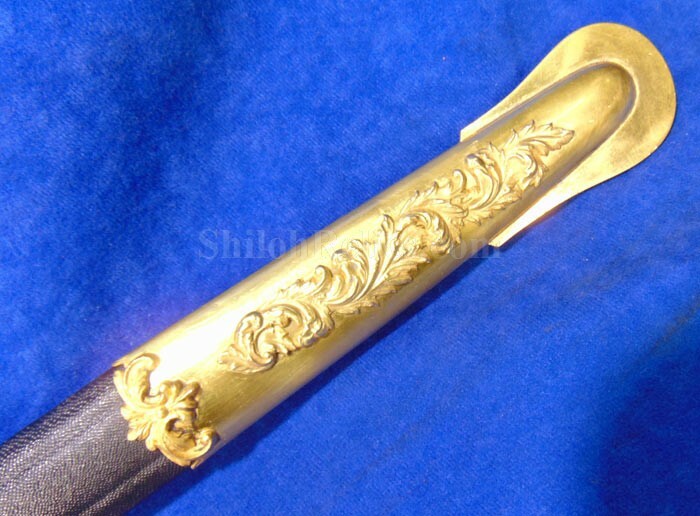 It is a solid addition to any edged weapons collection whether private or museum.